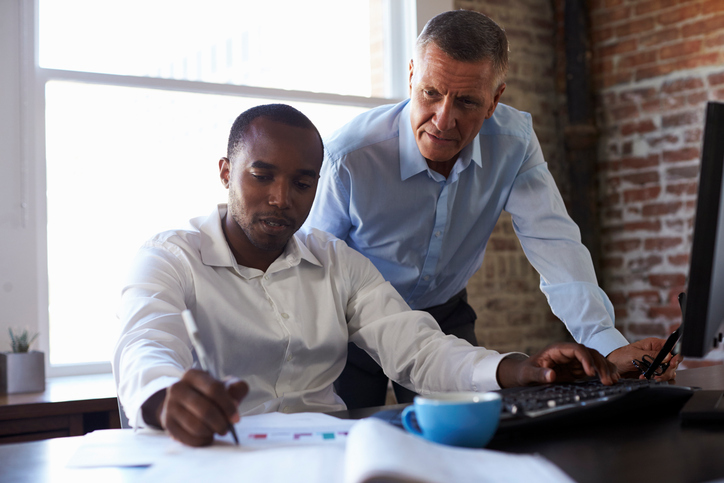 Mentorships are a time-honored tradition in the workforce. From entry-level recent graduates to mid-career professionals making a move toward the C-suite, there’s an opportunity to take an employee’s training and development to the next level through mentorship relationships. And the statistics show mentors can have a major impact on not just the mentee’s success, but also on the productivity of a business overall. According to the 2016 Deloitte Millennial Survey, younger employees intending to stay with their organization more than five years are twice as likely to have a mentor. And, 71 percent of those likely to leave in the next two years are unhappy with how their leadership skills are being developed. So, there’s little doubt that a strong culture of mentorship is important for building a productive and engaged workforce. But before you jump headfirst into a mentor relationship with a bright, up-and-coming employee, there are a few considerations you should make to ensure the relationship is productive for everyone involved. What can you offer vs. what does your mentee need? First and foremost, is the relationship even a good fit? There’s much more to it than simply pairing a senior leader with a younger employee. Before any official relationship is established, there should be discussions about what the mentee’s goals are and what the mentor is willing and able to provide. Forcing a poor fit will likely be a waste of time for both parties in the long run. Mentorships are first and foremost a relationship. And if either the mentor or the mentee are not getting what they need out of the arrangement, it’s best to be open and honest about the situation and to help each other find a better fit. Is the mentee ready to learn? There’s a saying that success is where preparation and opportunity meet. Even if you sense potential in a young employee, if they are not prepared to take the next step and make a commitment to a mentorship relationship, you shouldn’t try to rush it. Again, this is where communication about what the mentor and mentee expect to gain out of the relationship plays a major role. If a mentor feels their potential mentee is not ready to fully engage in the process, it may be more beneficial to put the plan on hold until they are. What can you learn from the mentee? Mentorships aren’t a one-way street. No matter how experienced a mentor may be, there’s always something new to learn—and those lessons may very well come from their mentee. The best relationships are an exchange of knowledge where both parties benefit from the experience. A millennial mentee, for example, may be able to teach a baby boomer mentor about the most current trends in social media or other communications technologies. Being blind to rank and open to learning new skills or taking advantage of each other’s unique expertise is key to a mutually beneficial relationship. Mentorships take many forms and in the end, it’s up to the individuals involved to find the right fit for their development needs. Communication, setting expectations, and a willingness to learn are some of the most important characteristics of any great work relationship, and essential to successfully mentoring the next generation of leaders.